She gushes over how delicious the karaage is, then explains that the people who made the karaage did it extremely well, saying the meat is still warm even after the delivery and is excellent even down to the skin. 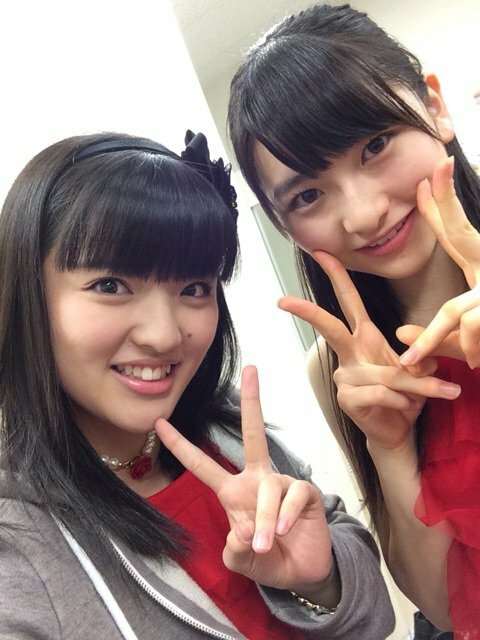 Kanon recalls a time with Tanaka Reina, who also loves Karaage. During a Hello! Concert rehearsal Reina and Sayumi gotten Karaage bento and put them in the fridge. At some point, Ayumi found them in the fridge and said “Do you think its alright if I take this karaage bento?” and ate it, Kanon laughs. Which then led to Reinas’ reaction later of “Eh? Where did my bento go?”. Ayumi then made great shocked/horrified and realized “I ate Tanaka-san’s bento!”. She apologizes for revealing this about Ayumi, but Kanon thought it was a really funny thing that happened. Message 1: Sugakiya has begun offering a premier ramen, have you eaten it yet? She hasn’t. She knows the special is like a char siu ramen, but doesn’t know what else to say in regards to it as she hasn’t had any of Sugakiya’s specials in 2015. But, Kanon says she does like Sugakiya. The one in her hometown offers a pork ramen for 430 yen (a little over $3.50), which is pretty cheap. During elementary school she would go to the shopping mall with her friends and order cheap ramen at Sugakiya. It is a nice memory for Kanon as she could eat something tasty with her friends and it wouldn’t burn a hole through her wallet. Now, when she returns home she will want to go there with her mother. Message 2: You’ve written in your profile that you like softball, right? I like baseball and they’re kind of similar. So, please share us an episode when you were playing softball. In elementary school, Kanon was in the softball club. Kanon’s father was big into baseball when he was younger so she decided to join the softball club. In elementary it was more like the were just playing as they would run around and play catch a lot of the time. Kanon wasn’t all that great at softball, so when she entered middle school she still wanted to be part of softball games, but since she wasn’t that great she ended up stopping. So, she doesn’t really play anymore, but likes it as a sport. Message 3: At this years “Dokkiri”, you were in on the surprise this time. Maria was super fooled by the prank and it seemed like it was a huge success. Please tell us the story behind everything. Her response is basically just a summary of what happened and that she thought it was fun to act like nothing was wrong. If you haven’t watched it yet, you can do so here. Message 4: Kanon likes a lot of different types of food, but is there something that you haven’t had yet that you’d like to try? Sugakiya’s premier ramen, Kanon laughs. She then explains that the ramen special just sounds so delicious that she really wants to try it. So, next time she goes home, she will make a point to go to Sugakiya. Other than that, she would like to try a certain kind of ramen called Jirokei ramen. She has been told it tastes like hakata tonkatsu ramen and because of that she’d like to try it. So basically, Kanon really wants to try some new ramen. Message 5: Are there any easy things to do that have made you happy recently? She’s had a lot of time to think about things since she got the flu and hurt herself and hasn’t been able to do the normal amount of work. She stops, thinking she’s complaining and clarifies that she understands that because of her injury it can’t be helped. But, because she had to be at her house most of the time, it wasn’t like she could go to work and have fun with the other members. So, she would do a lot of watching TV and reading manga. She’s the type to not have much of a reaction to things (on tv) so she doesn’t often laugh when watching TV; but recently this has changed as watching TV has made her happy lately. Its something nice to do while she isn’t studying or working, she thinks. 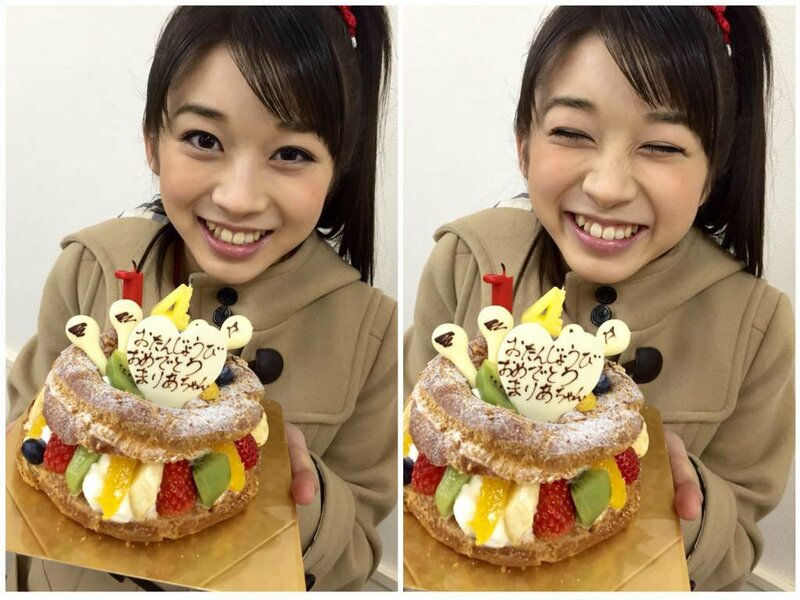 Message 6: It was Makino Maria’s birthday recently, huh. My question is: did you give Maria a present? She did buy her a present! She thought Maria would like an iphone case, a bowl set and a towel. The members had given her a surprise birthday cake, so Maria was ecstatic about that. But after giving Maria her gift (she settled on the iPhone case) Maria was equally so excited and happy that Kanon was pleased that she decided to give her a birthday present. Message 7: I have recently been getting very nervous about things so I was wondering if Kanon gets worried about things too? Are there things you do to get over it? Kanon confirms that she is also the type to get nervous a lot, like before she goes on stage for a concert. Honestly, Kanon explains, she thinks she does what people normally do as a nervous habit, which is to cross her arms step side to side and tries to calm down. Thats about it. Song: Morning Musume – THE Manpower!! !